The new Futuramaland app is here! Download the free Futuramaland app from the iTunes Store or Google Play and read Futurama comics whenever you want on your handheld devices! 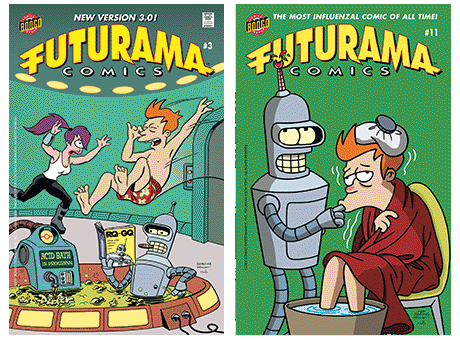 Futurama Comics #11 and Futurama Comics #3 now available!